Music from The 'Winterska ' Project. New Dancing Skajazzle music . Beverley's album is the latest in a line of impressive releases. Catch her live now with 'Soul Sugar'd. The Selecter have announced a 22-date UK Tour throughout February and March 2015 to celebrate 5 years since their reunion & to support the release of their brand new album ‘Subculture’, released on 30th March. 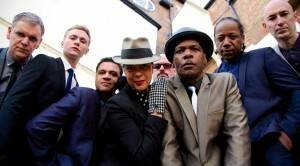 During the past half-decade, The Selecter, led by their legendary frontwoman Pauline Black, have become increasingly aware that their championing of 2-tone/ska music is firmly rooted outside of today’s mainstream genres (indeed, Ska doesn’t even exist as a music category on iTunes). Despite this anomaly, with over 110,000 Facebook fans and many more across other social networks, The Selecter’s following is worldwide and they remain figureheads for a wide stratum of subcultures e.g. skinheads, mods, punks, northern-soulers, and many other groups who similarly define themselves at variance with the status quo.